kSARIA excels at providing their customers with customized cable configurations. kSARIA works with their customers to help design and configure shipboard cables to meet their specific needs. 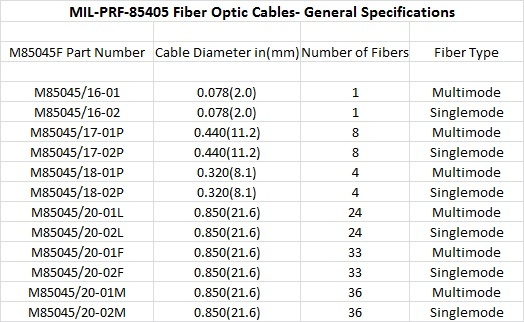 A partial list of the variety of cables includes using the M28876 family of connectors, multi-channels, single mode, multi-mode, multiple links, breakout cables, Mil-Spec surface and submarine applications, and generally any fiber optic backbone assembly. Please contact kSARIA for any of your customized cable configuration needs. The M28876 fiber optic connectors are harsh environment fiber optic connectors that are rugged, reliable and cost-effective. 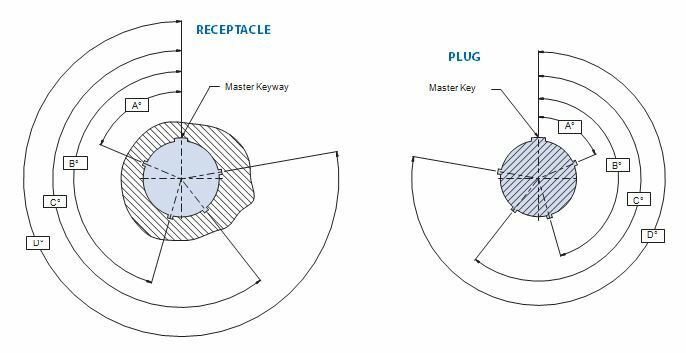 They cover the performance requirements for circular, plug and receptacle styles that are for Department of Defense applications and that are compatible with multiple transmission element cables. 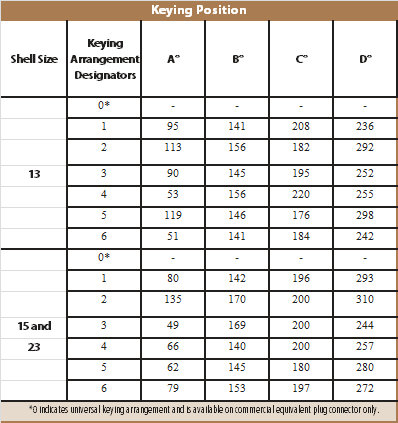 Select (g): When ordering /1 /6 or /11 connectors that will use a backshell, insert N to omit the unneeded insert retention nut and pressure sleeve. Otherwise leave this blank. 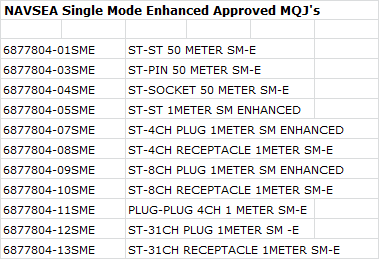 The M29504/14 & /15 are qualified to MIL-PRF-29504B specifications. This series of fiber optic termini are compatible with the M28876 and comparable military-style connectors. They provide excellent optical, mechanical, and environmental performance. 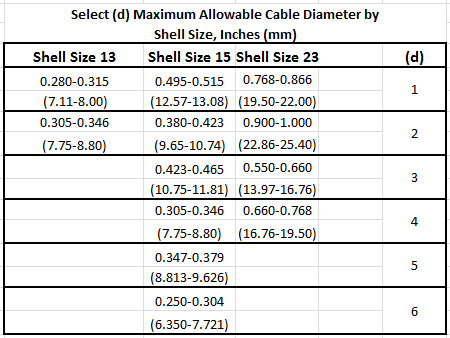 kSARIA provides shipboard cables qualified under performance specification MIL-PRF-85405. 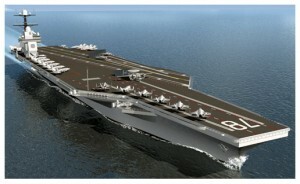 kSARIA continues to be a major supplier of these cables to numerous naval programs. 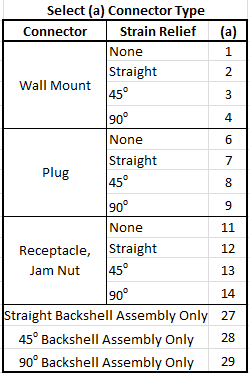 Below is a list of these cables. 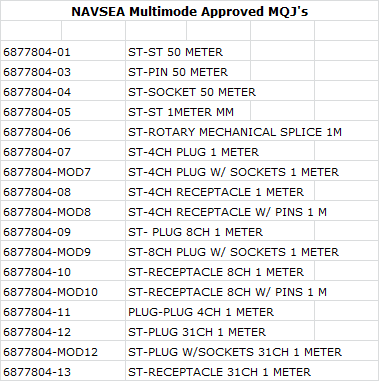 Please contact kSARIA with your shipboard cable needs.